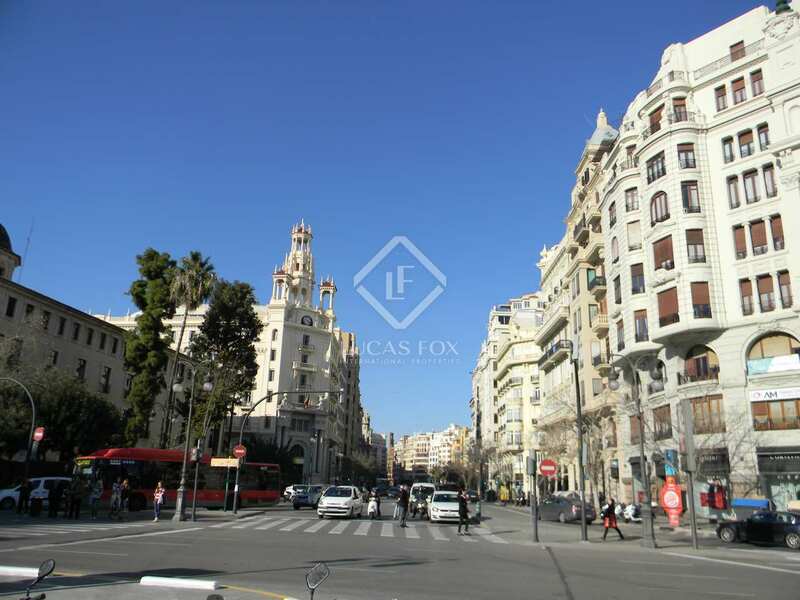 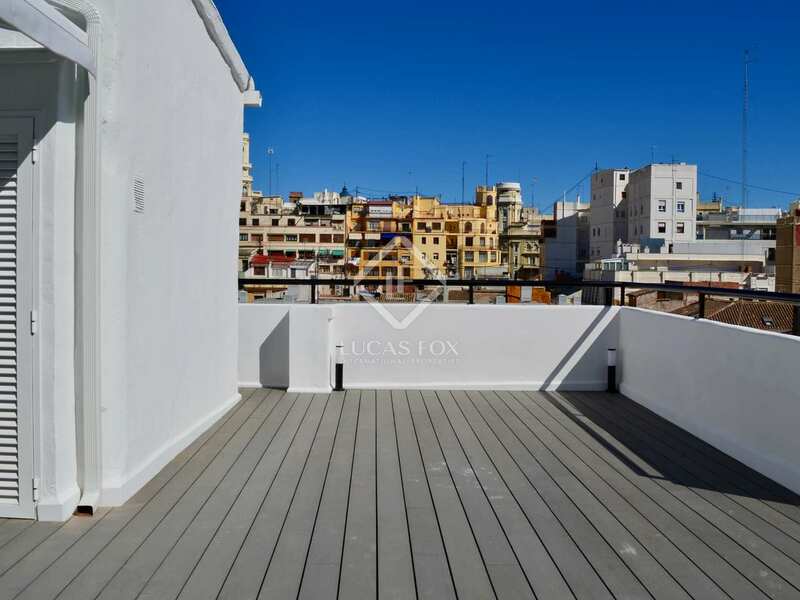 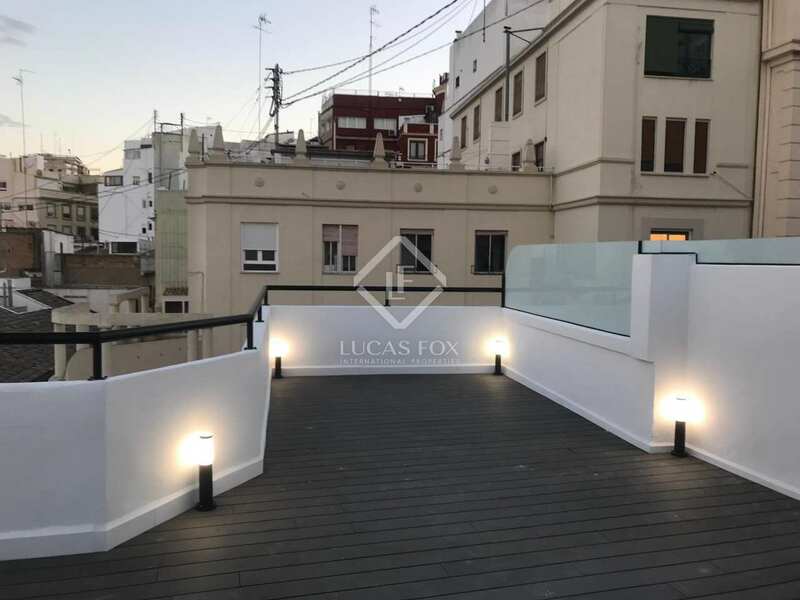 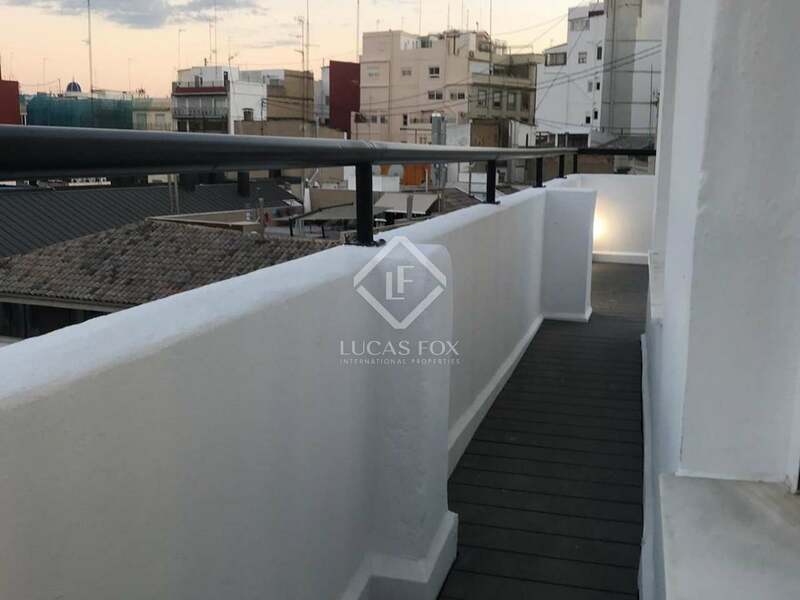 This penthouse is currently being renovated and is located in the heart of Valencia, just 2 minutes' walk from the Plaza del Ayuntamiento and the Central Market. 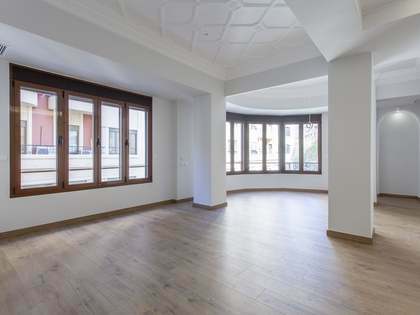 As the renovation work has not yet been completed, the buyer has the opportunity to choose final materials and adapt it to his or her taste. 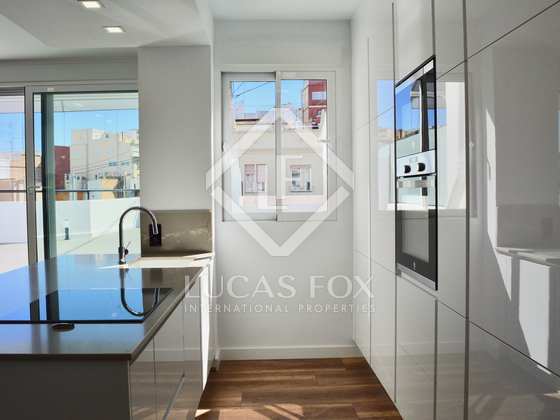 This property of 130 m² will be delivered in brand new condition. 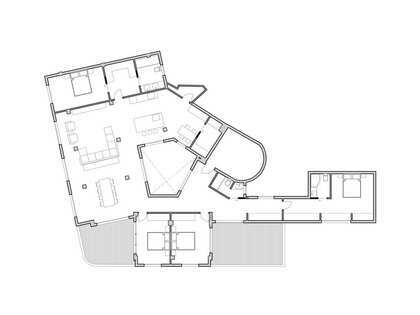 Upon entering the penthouse, on the left we find the master bedroom with its own private bathroom, and 2 other bedrooms that share a bathroom located in the middle. 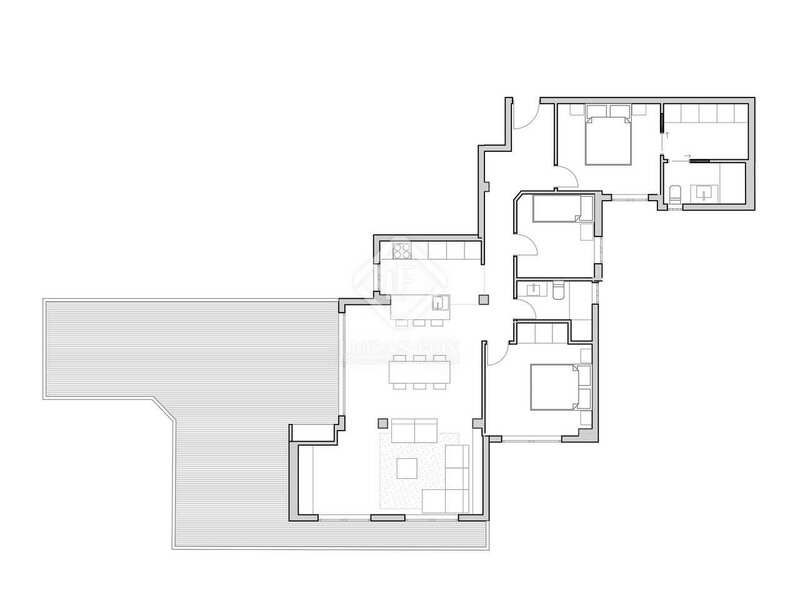 All of these rooms are exterior facing. 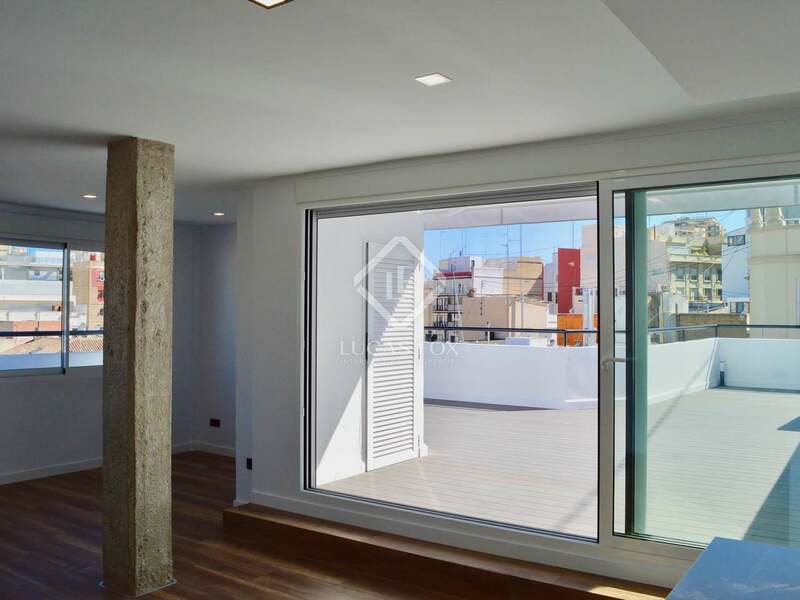 On the right we come to the day area: a unique space that combines a living room, dining room and kitchen, all with access to a terrace of 70 m² facing south and open views, which is accessed via 5-metre long patio doors. 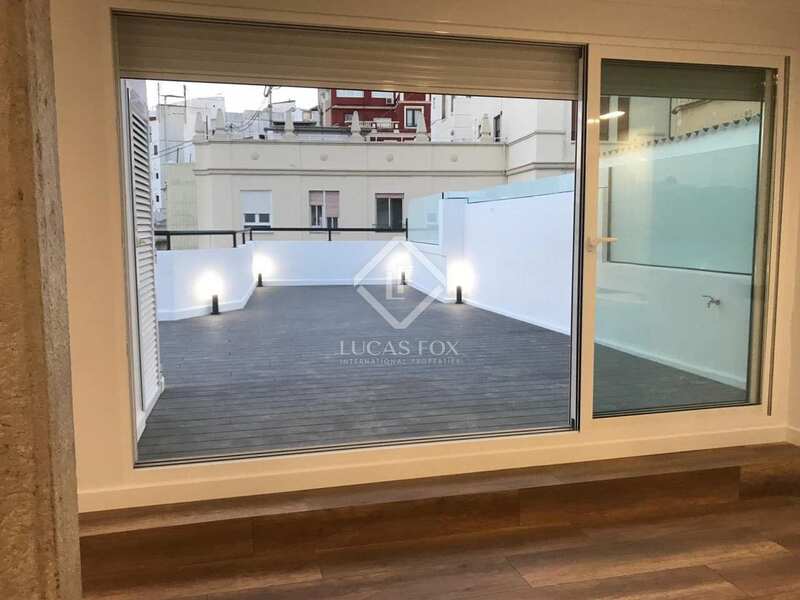 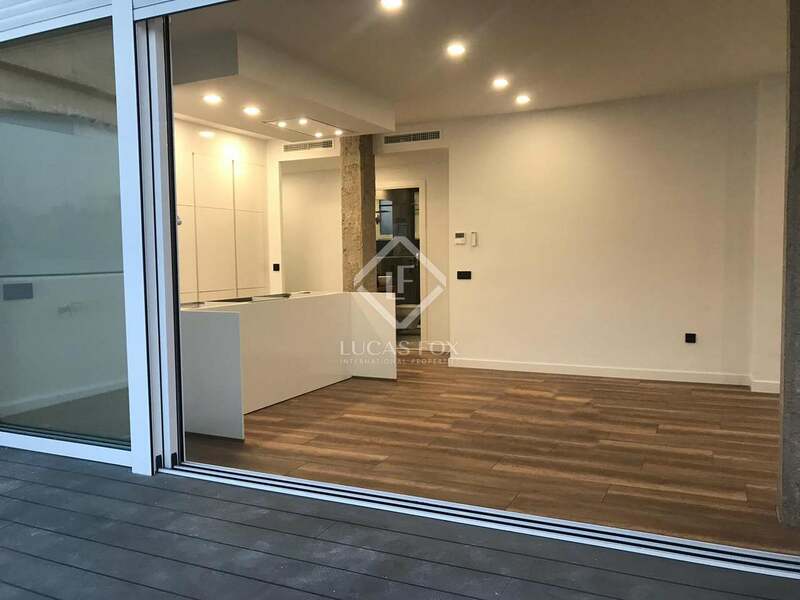 In addition to the excellent renovation, the property also stands out for its beautiful views of a square and for being the only one on this floor of the building, which guarantees greater privacy. Do not hesitate to contact us for further information about this interesting property or to arrange a viewing. 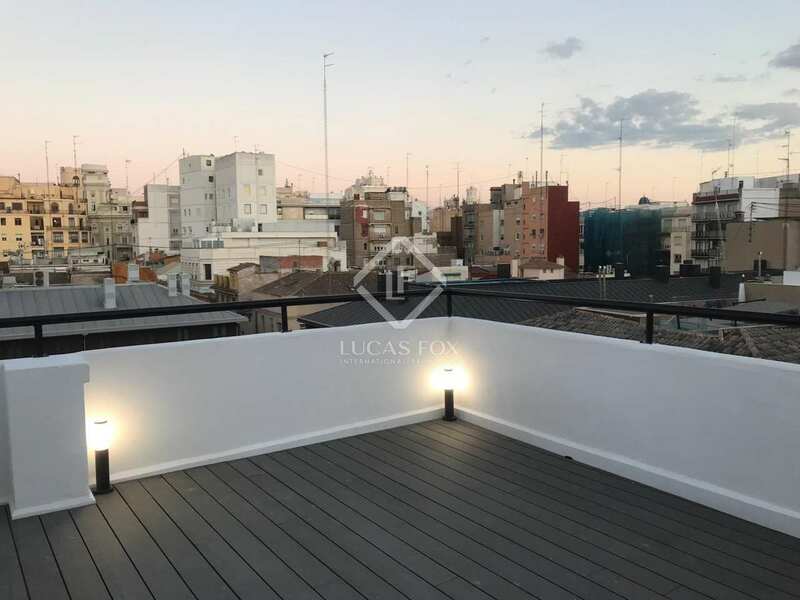 Please note that the photographs are images of other renovations by the same company, not of this property in particular. 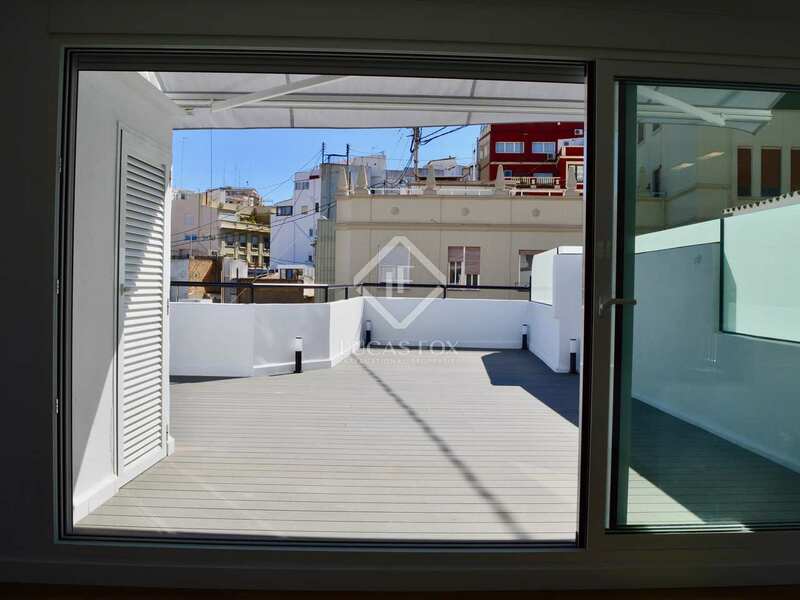 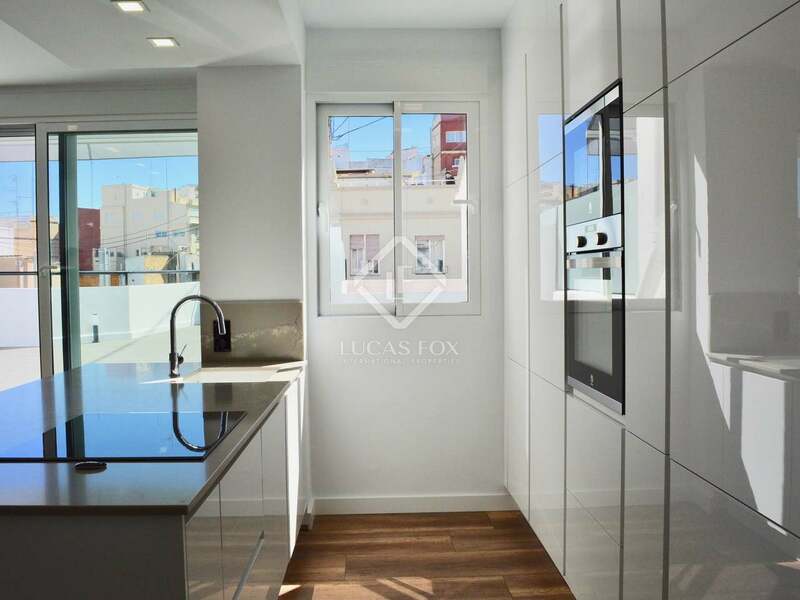 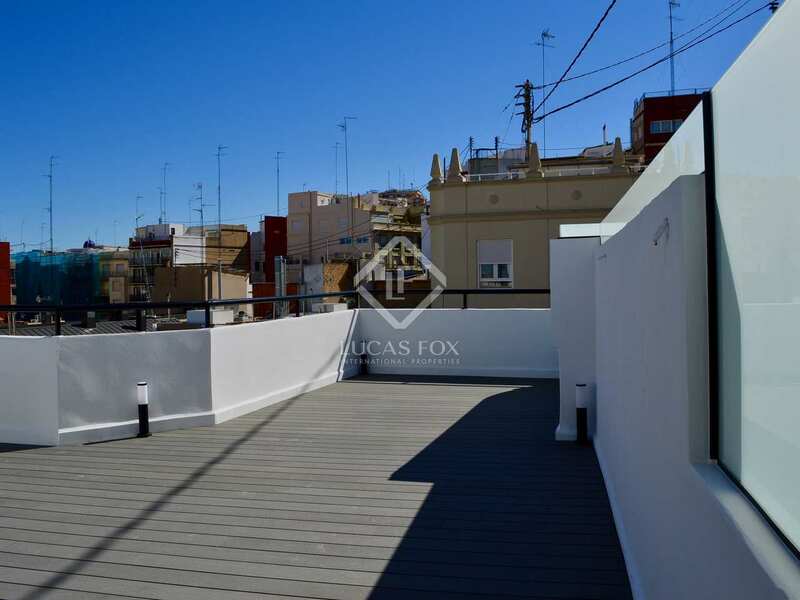 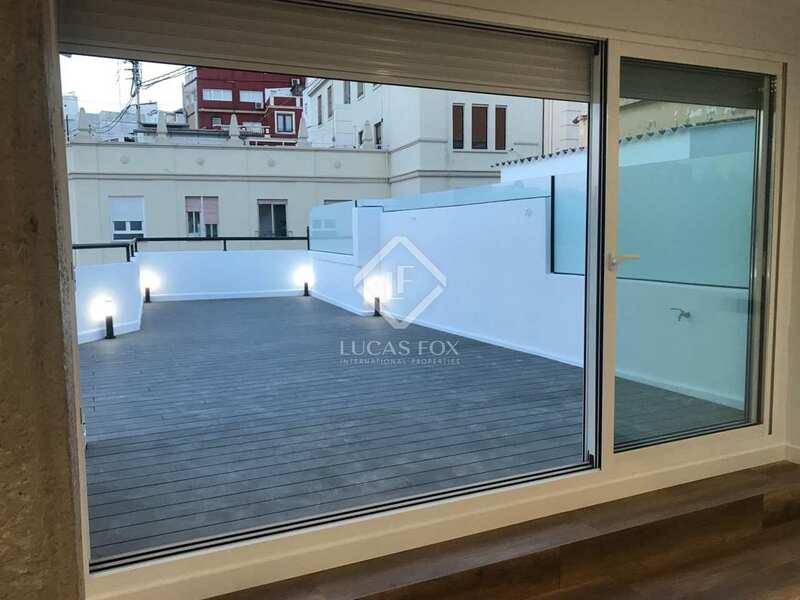 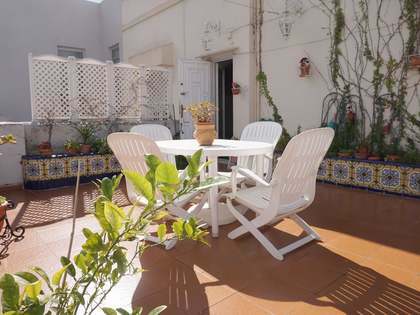 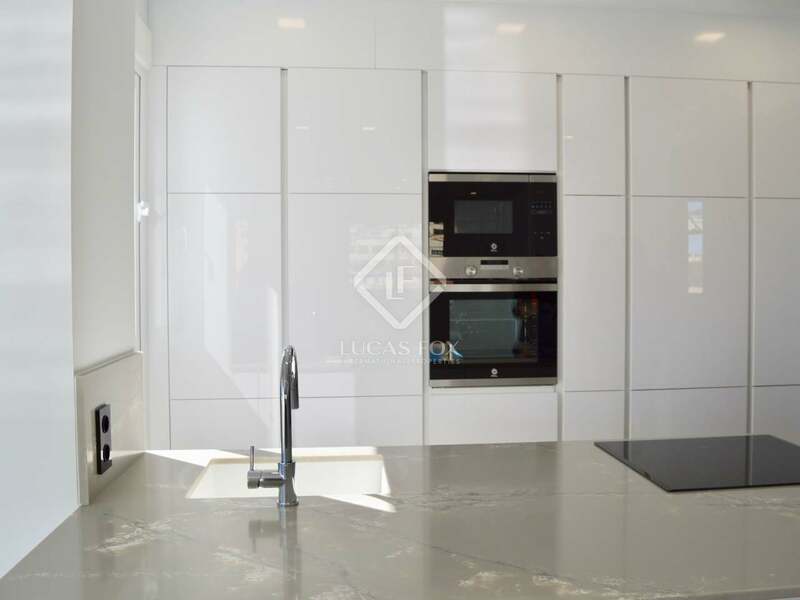 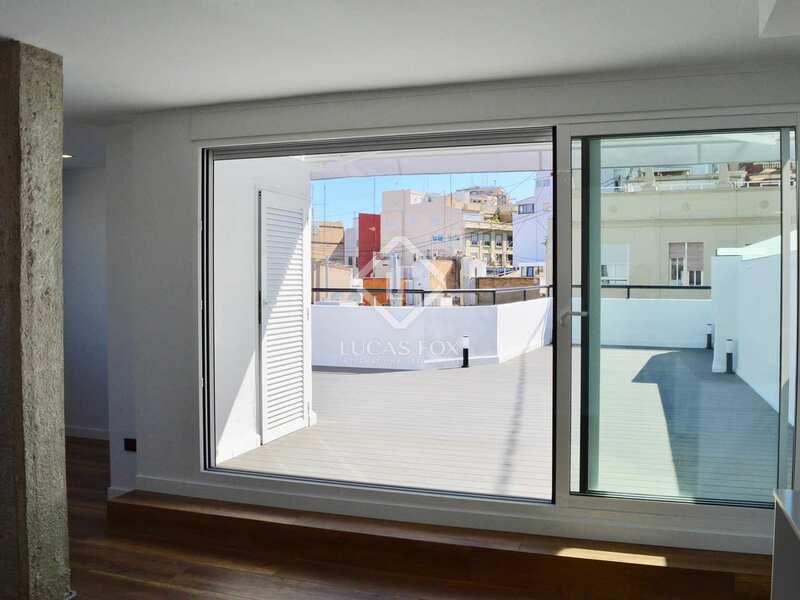 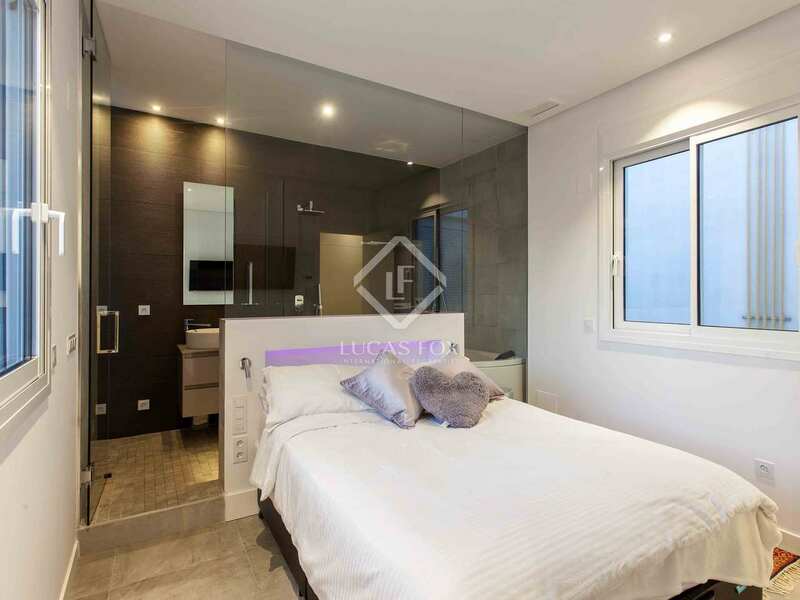 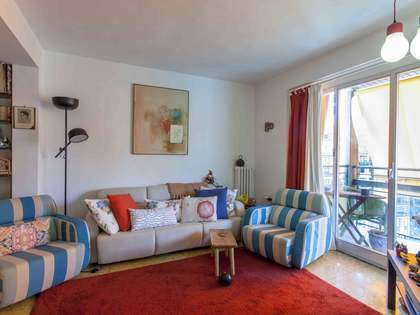 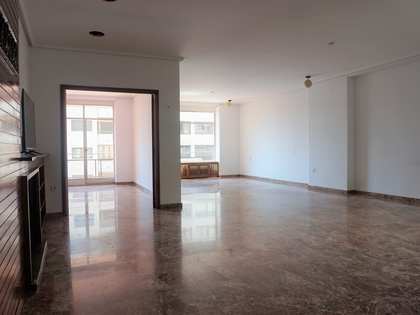 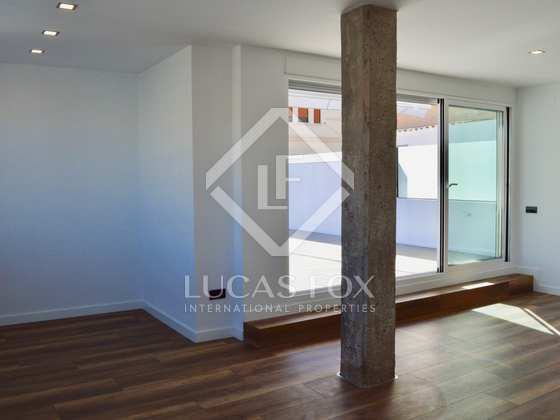 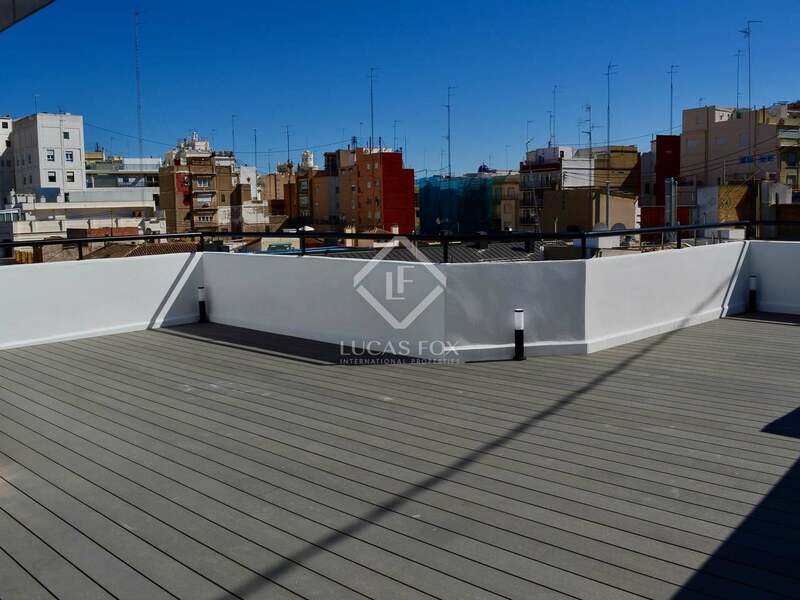 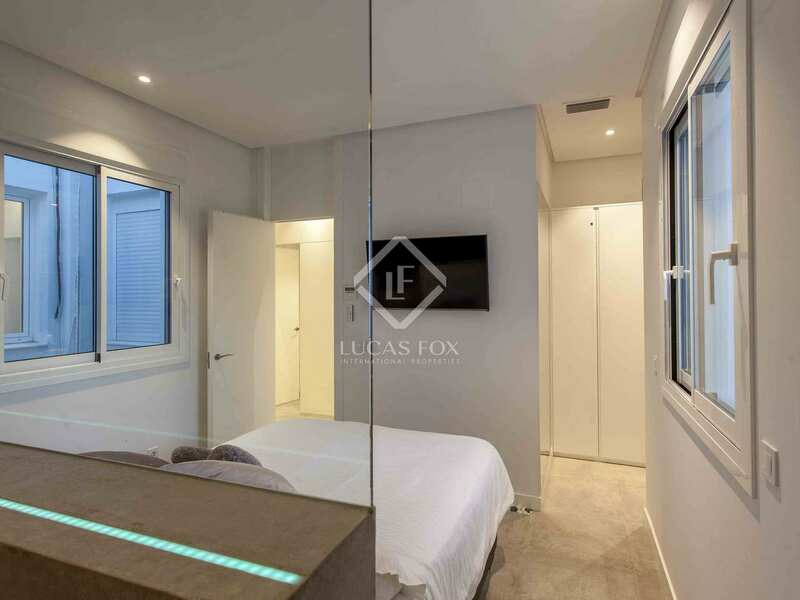 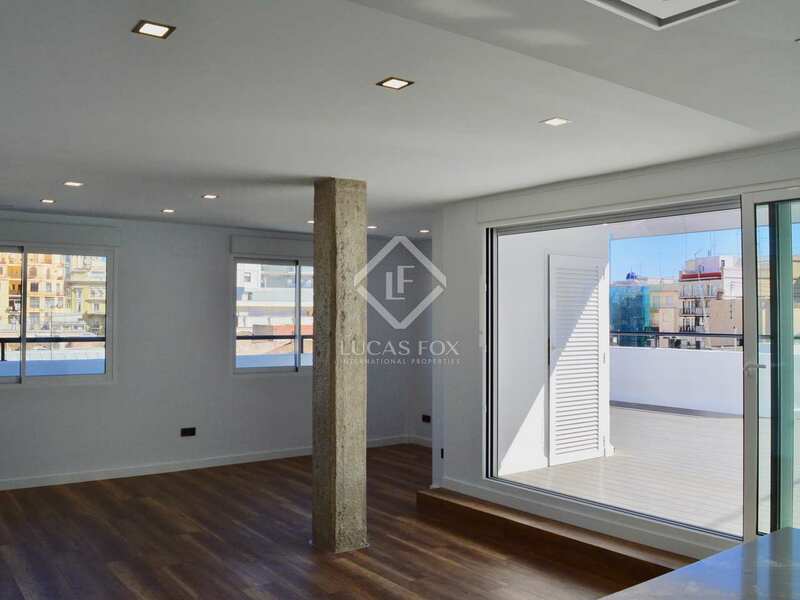 This penthouse is located in the Mercado area, next to Sant Francesc. 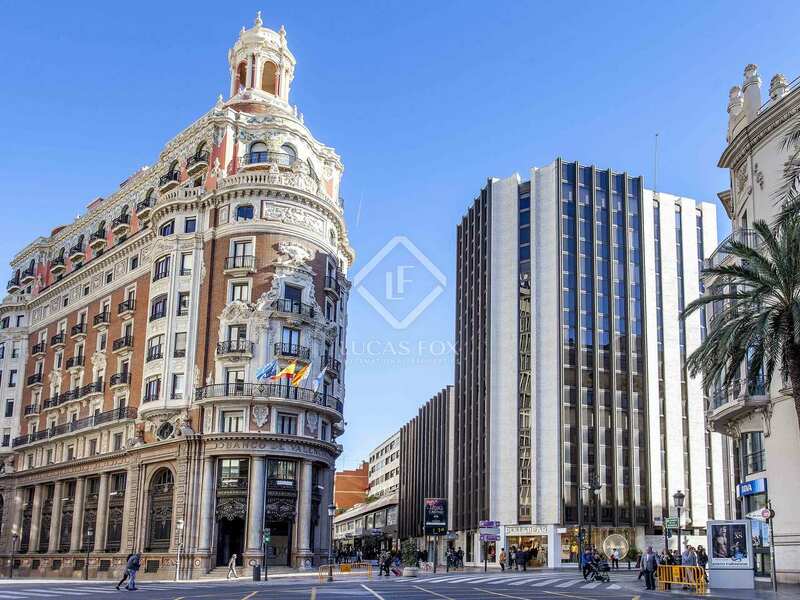 Specifically, it is located on an important street that connects Plaza del Ayuntamiento and San Vicente with Avenida del Oeste. 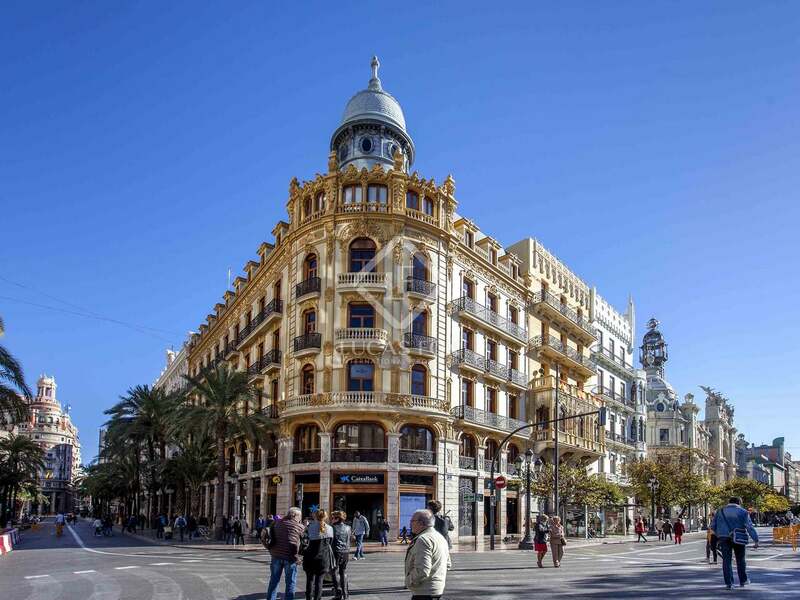 It is at a strategic point between the Town Hall Square and the Central Market, in an area of increasing value thanks to the new Central Market car park and new pedestrian areas. 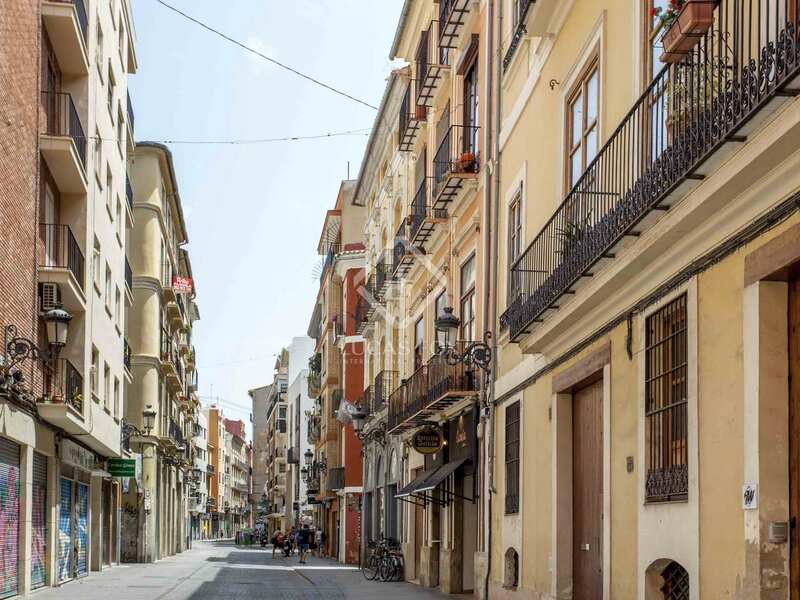 All this in the old town of Valencia, one of the most beautiful in Spain and home to the largest number of modernist buildings, which coexist with historical monuments such as the Cathedral, the Lonja and the Plaza Redonda.